Tired of being a noob? I feel your pain. As someone who is deeply competitive, I can’t stand the thought of being bad at a game I love. Maybe you’re the same way. It’s one thing to like a game but the experience can be tarnished if you never win. Fortunately, no matter who you are, there’s always hope. You can improve. Take a seat. Brace yourself. Forget about premium gaming peripherals Do You Really Need A Premium Mouse To Be A Competitive PC Gamer? Do You Really Need A Premium Mouse To Be A Competitive PC Gamer? Whether you're trapped in the addiction vortex of Dota 2 or simply nailing headshots in a first-person shooter, you may often wonder: "Do I need a special mouse to compete with everyone else?" Read More and focus on the basics. The journey from noob to pro won’t be easy, and it won’t be quick. If you want to get better, you must be patient and be willing to put in the effort. Are you ready? To improve, the first and most important thing you need is the right attitude. It sounds like a cliché, but it’s a cliché for a reason. You might still be able to improve without the right attitude, but it will be a much slower and more agonizing process. What is the right attitude? It’s hard to define exactly, so let’s define it by first describing the wrong attitude. A scrub blames others for his mistakes. A scrub always has an excuse for poor performance. A scrub never looks for mistakes that he’s making. A scrub never thinks about how to repair his mistakes. A scrub never innovates or thinks outside the box. Long story short, a scrub has lost the game before the game even starts. Want to have the right attitude? Start by abolishing all of the above from your gaming mindset. When you lose, the blame rests on you. 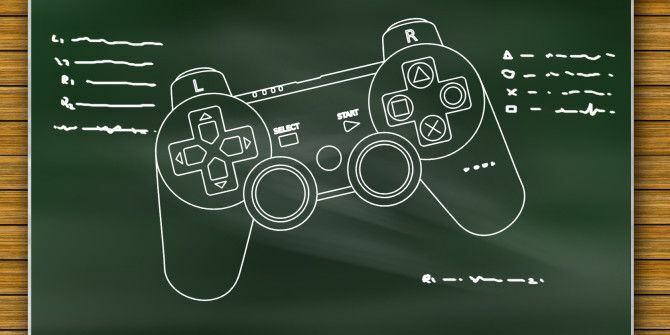 It’s your responsibility to find your mistakes, to fix them, and to learn from them Level Up - How To Improve Your Gaming Ability Level Up - How To Improve Your Gaming Ability For most gamers, sitting down with a controller means escapism and relaxation. There are others, however, who enjoy games for the competition they provide. A great game can offer an adrenaline rush unlike anything most... Read More . That’s the attitude of a winner. The teacher-student dynamic is one of the most prevalent relationships in all of human history. Don’t throw that away. The straightest path towards improvement is to learn directly under someone else who has already walked that path. You need a mentor. If possible, find a real life buddy who is drastically better than you at whatever game you want to improve at. Ask them to teach you the ropes. The ability to ask direct questions and receive direct answers is crucial for accelerated skill development. If you can’t find a real life mentor, then search for one online. This will require you to participate in at least one online community based on the game you want to learn. If you can’t find a personal mentor, you can still ask your questions on a forum and hope for helpful answers. Perhaps the most obvious way to improve is reading guides. Guides are often written on community sites and forums, so be sure to browse as many of them as you can. But there’s a less obvious alternative to reading guides. Writing guides. Many people assume that guides should only be written by experts. In a way, that’s true. You don’t want to spread misinformation so you should only write about something when you’re certain that it is true. On the other hand, however, writing a guide is often the best way to conduct research. Suppose there’s a game mechanic that confuses you. Ask yourself: “If I were to find a guide on a subject, what would I want it to cover?” Once you have an outline, go and research each section on your own. Conduct experiments. In an RTS, you could test various builds. In an FPS, you could try new weapon combinations. As you write the guide, you learn. If you’re wrong about something, someone will correct you and you’ll learn even more. As an added bonus, when finished, you can post your guide for the benefit of other newbies. Guides are useful, but there are many cases where words and images are not enough to convey precise meaning. Indeed, it’s possible that a 30-second clip proves more helpful than a hundred written guides. If you aren’t watching videos and streams, you’re putting yourself at a learning disadvantage. Hop on over to TwitchTV and browse for commentary streams. These streams typically involve a single person who explains what they’re doing in the game, and why they’re doing it. Look for streams by pro gamers Think You Have Skills? Can You Compare To These Guys, The Best Gamers In The World Think You Have Skills? Can You Compare To These Guys, The Best Gamers In The World Some call it competitive gaming, others call it eSports, but regardless of what you call it, one truth remains: some players are just so insanely skilled that it almost feels superhuman. Read More so you end up learning the right things. Two good examples are Merlini of Dota 2 and Day9 of Starcraft 2. Videos are also good. You can find thousands of videos on YouTube that span the whole gamut of tutorials, strategies, etc. The most prevalent are Let’s Play videos where you can watch someone play a game and maybe pick up a few tips here and there. At the end of the day, you can’t improve if you don’t actually play. More importantly, you need to be challenged if you want to grow. Playing only Easy Mode (for single player games) and playing against AI (for multiplayer games) might be good for starting out, but you’ll never get better if you stay there. The most important advice for improvement is to play against harder opponents. However, don’t go crazy with it. If you just started learning to play tennis, you wouldn’t learn anything by going up against Roger Federer. In the same way, you want to play at a difficulty that’s slightly beyond your current skill. This forces you to stretch beyond your comfort zone and start incorporating new tactics that are difficult but possible. Long story short: you must be challenged, you must be willing to lose, and you must be willing to examine your failures to spot your weaknesses. By fixing your failures, you improve. Fix enough failures and you’ll become an expert. There’s no shortcut about it. For more tips, check out Matt’s post on leveling up your gaming ability Level Up - How To Improve Your Gaming Ability Level Up - How To Improve Your Gaming Ability For most gamers, sitting down with a controller means escapism and relaxation. There are others, however, who enjoy games for the competition they provide. A great game can offer an adrenaline rush unlike anything most... Read More . What tips and tricks do you use to improve at video games? Do you brute force it in the hopes that you’ll get there eventually? Or do you not care, choosing to overlook any game that requires skill? Share your thoughts with us in the comments! That was actually a very informative and inspirational article. I was so frustrated with Majora's Mask today. I need to buckle down and man up. Thanks, Joel! C&C: Generals; ???? can never forget that game! Great article, Joel! Sound tips any gamer can apply to their gaming. I'd also offer this advice: Play how you want to! If trophies/achievements are stressing you out, don't worry about them. Enjoy the games you play and don't feel like you have to 100% every single one. If you're not having fun while playing, it's hard to get much better! Yeah, definitely. Having fun is important for motivation. Any training done in a resentful or begrudged mood will often be counter-productive. What kinda bummers me in this article, is the excess of bold words and a lack of external links other than the two for Dota and SC. Also, for instance, which are some of good or recommended published guides? Bradygames seems the traditional for English-speaking consumers. Are there any traditional publishers in Spanish? And I feel it's missing something that a lot of gamers seems to do since the days of VHS: record your gaming sessions. If soccer players do that, why couldn't more competitive individuals like videogamers do the same? I'm not a multiplayer kind of gamer, but I'd like to know which are the more reliable HD recorders that can bypass DHCP protection and don't cost an arm and a leg. Self-recording is definitely a good way to improve. Replay watching is a critical skill in a lot of competitive games! Thanks for mentioning it. I haven't run into any DHCP-related issues when I used to stream but if you're looking for a powerful, flexible, and free stream software, OBS is really good (//www.makeuseof.com/tag/how-to-live-stream-your-gaming-sessions-using-open-broadcaster-software/). Walkthroughs are an excellent way as mentioned in the article. On single player mode maybe making use of trainers which are usually small but efficient mods to games with effects such as player invincibility may prove useful. I said single player mode because it is unfair to use trainers against human players unless agreed by both sides! Trainers are a good way to get better. Can't believe I forgot to mention those!